Peosta Warehousing Logistics is a full-service provider of warehousing, distribution and logistics solutions. 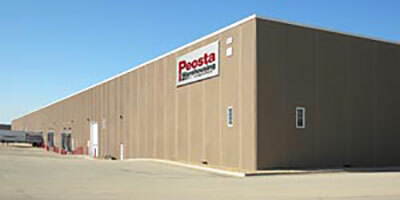 Peosta Warehousing Logistics, headquartered in Peosta, Iowa was founded in 1984 by AJ Spiegel who was looking for warehousing solutions for his primary business, Mi-T-M Corporation. With a constant growing demand for industrial equipment, there was a need for storage as well as product flow management. After exploring many options, Spiegel decided to build his own storage, warehousing and logistics facility to meet his specific needs. Soon Peosta Warehousing Logistics was fulfilling the needs of other businesses looking for warehousing solutions in the area and developing into a leading warehousing service provider. The company expanded and incorporated on March 22, 1995 and distribution solutions were added in 2001. Today Peosta Warehousing Logistics spans over one million square feet and offers a full range of warehousing, distribution and logistics services to meet the needs of manufacturers, suppliers and their businesses. 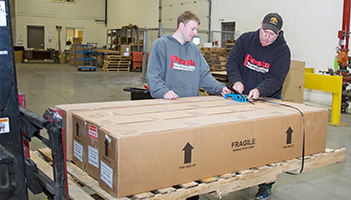 If you’re looking for warehousing management or inventory logistic services in Kansas City, Chicago, Minneapolis, or Milwaukee, Peosta Warehousing Logistics can offer the solutions that you need. Peosta Warehousing Logistics is a full service FDA registered and State of Iowa certified organic handling and distribution campus. Our state-of-the-art facilities, trained staff and compliant record keeping programs allow us to provide the ideal environment for organic material storage, packing, receiving and transporting based on Federal Organic regulations. We have a Food Processing Plant license and are A.I.B. Superior rated for our food grade warehouse facilities. We are committed to providing safe, high quality food product warehousing to our customers and are equipped to store, transfer and repackage food related items. At Peosta Warehousing Logistics, we provide innovative third-party logistics (3PL) services for every industry we serve. We are capable of serving a variety of industries including retail, consumer, industrial, government, automotive, food and more. Peosta Warehousing has more than 30 years of experience in the warehousing and logistics industry. With more than 1,600,000 square feet of available warehouse space, our capacity is huge, but our small town, Midwest attitude is what sets us apart. We will customize logistics solutions specifically to your needs. We’ve done it for customers from California to Texas and Canada to New York and we will do it for you.We also offer reliable and dependable services to meet the international transportation needs of importers and exporters. We will coordinate, manage and monitor your international freight including customer clearance, freight forwarding, import/export consulting, drayage and warehousing. We are a proud participant of C-TPAT. Our warehouse logistics is among the best in the area. We offers warehouse solutions and logistic services such as container unloading, cross docking, sorting and packaging. Learn more about our team members.